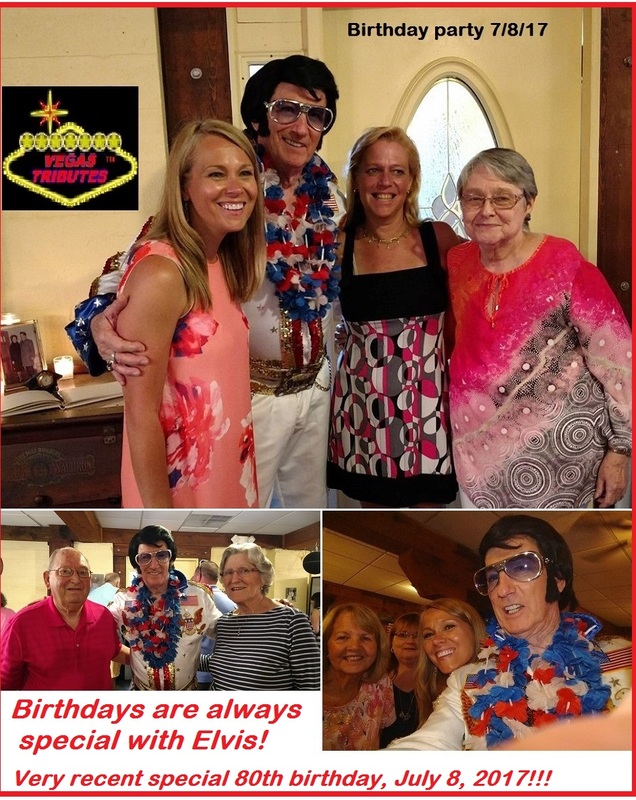 Elvis impersonator Tim Beasley is a career entertainer for over 30 years as a look-alike, sound-alike, act-alike fun-filled double of the King himself! (Also 95+ others!...very bad case of multiple personality disorder!) His very first public performance was for the Grand Reopening of the Sheraton Hotel Airport / Military Circle, in Norfolk, VA, Jan 8, 1986! 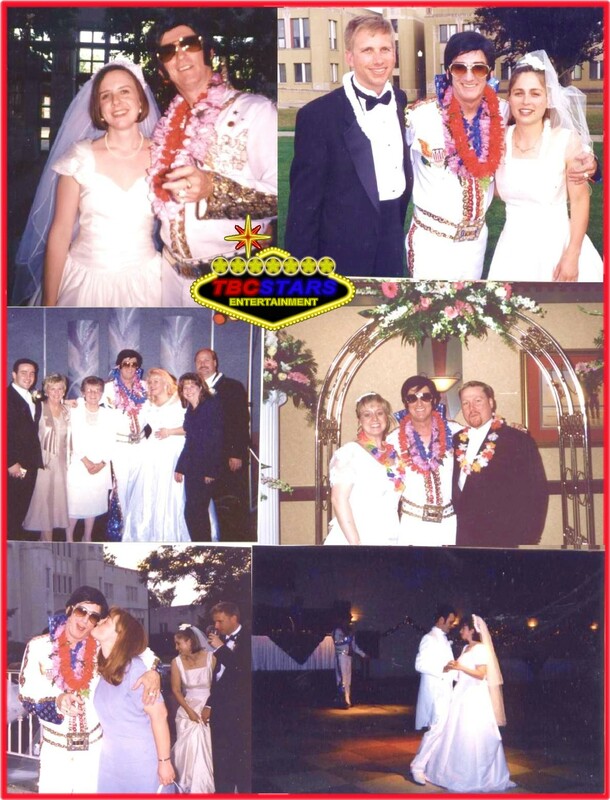 Since then, he's had thousands of performances for retail promotions, corporate events, music festivals, fundraisers, theater shows and special events for country clubs, cruises, conventions, casinos and many, many hundreds of performances for weddings, anniversaries, birthdays and other special celebrations!!! 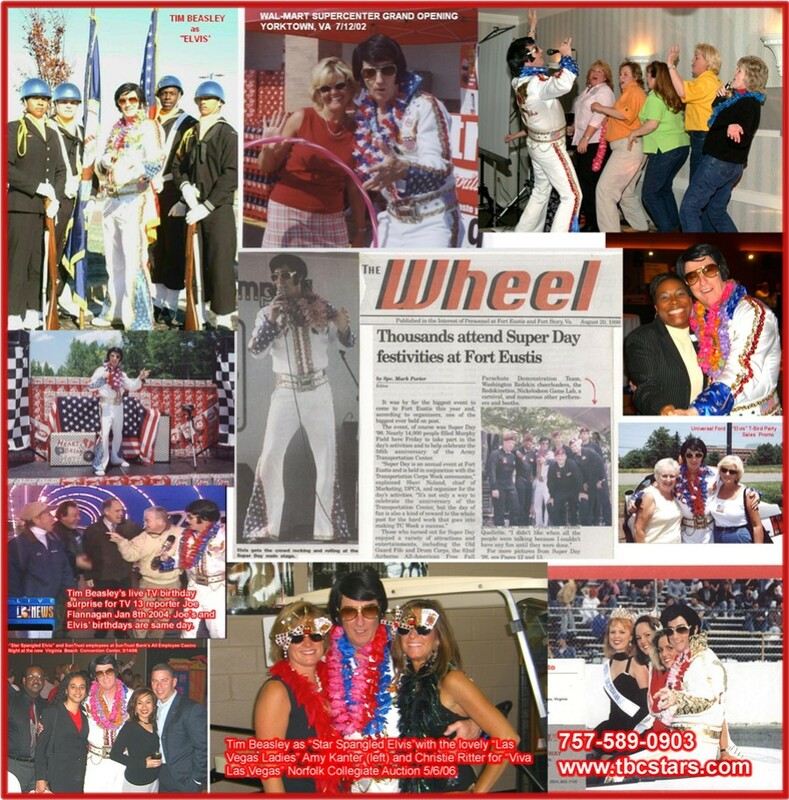 Yes, there are thousands of Elvis impersonators to choose from…most of these are only part-time amateur performers, your neighbor's brother-in-law, the guy who works at the grocery store, etc., etc., and of course there are many professionals proclaiming to be the best. 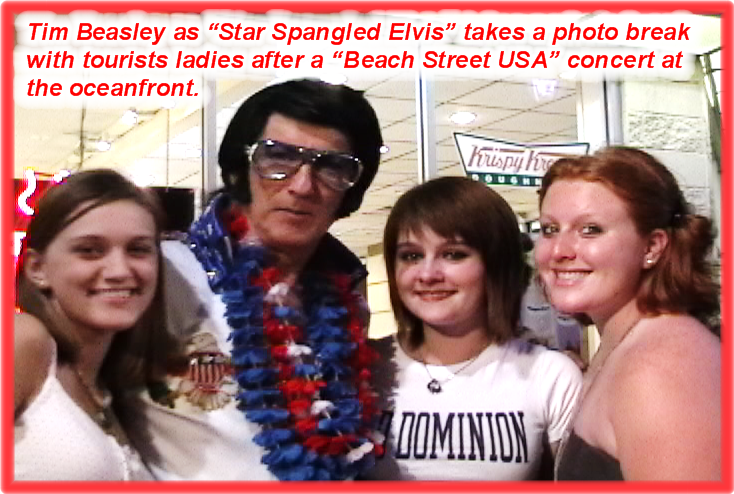 ( Elvis himself was far more humble! ) 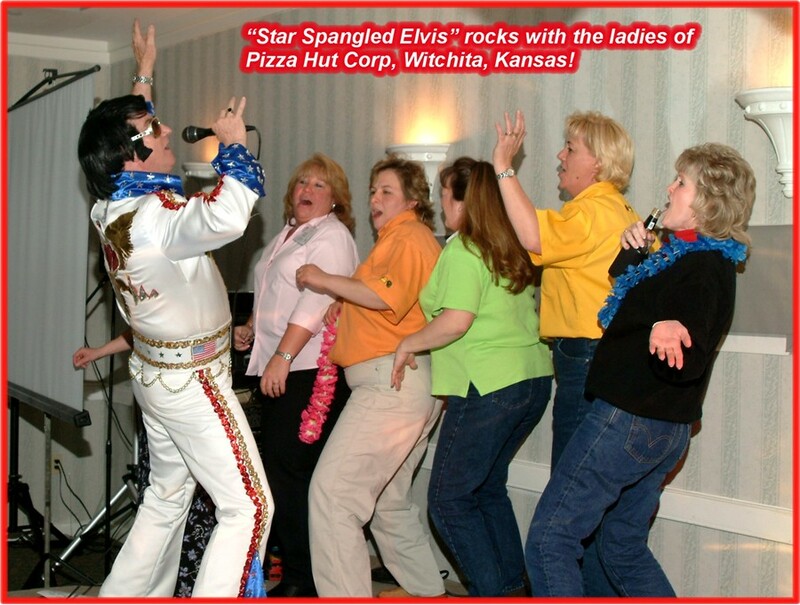 Tim admits he's not the world’s best Elvis impersonator, but he’ll have the ladies in that room dancing on the table tops quicker than you can say "A–hunka-hunka burnin’ love!" 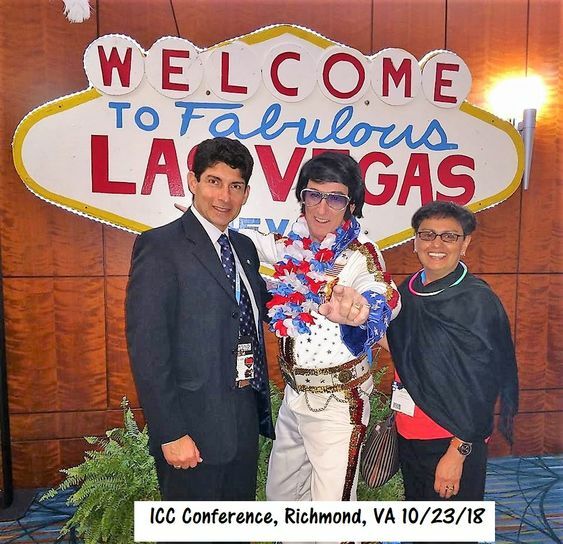 Tim’s unique talents to breath real life into being an Elvis impersonator really bring out the terms "look alike" "sound alike" to his recreation of the legendary live Elvis performances. 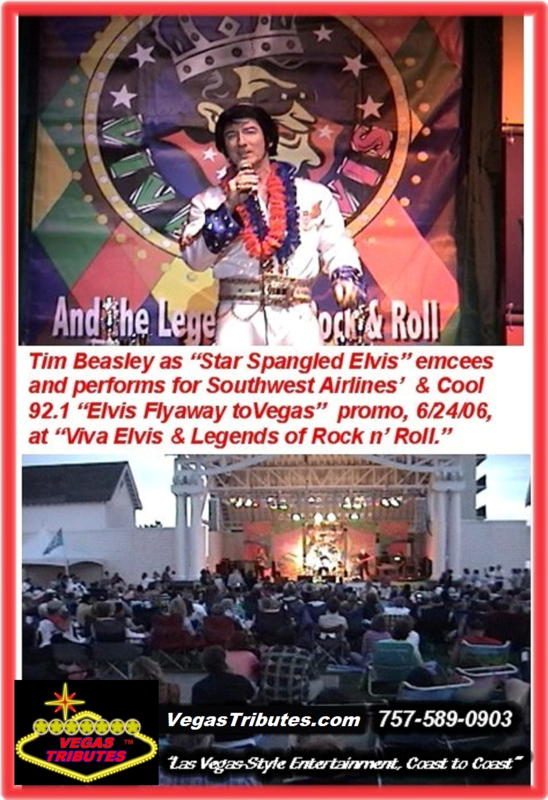 Tim as Elvis Presley has that "Big E" magic on the stage with him every time and he’s "all shook up" about the love his audiences give back! 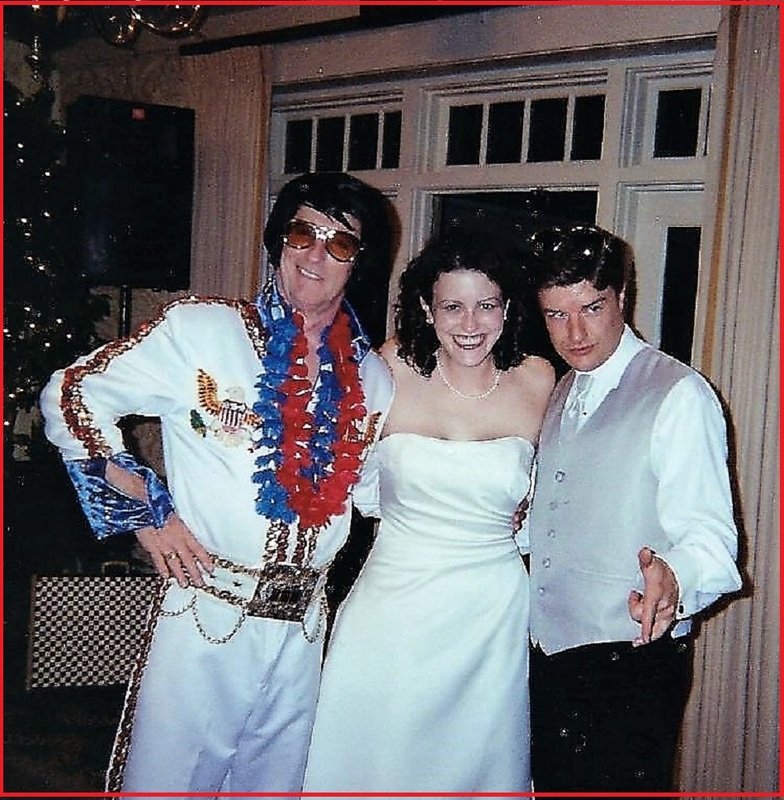 Tim’s Elvis impersonation is professionally known as "Star Spangled King" TM and Tim takes on the spirit of Elvis with his fabulous custom made one-of-a kind Vegas-style white satin jumpsuit. Its design was inspired in tribute to the beauty of Old Glory, emblazoned with the Stars and Stripes and a blue field of diamond stars. The American Bald Eagle flies proudly on the back and chest panels, too! 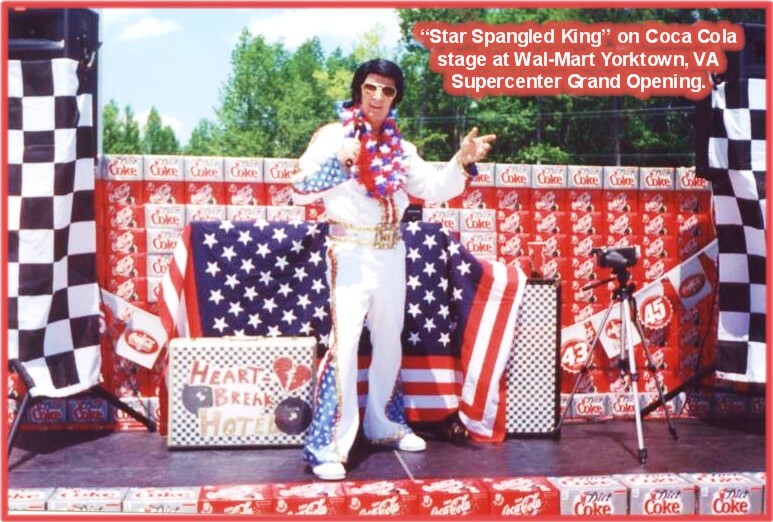 He also sports those cool 50's - 60's style jackets, white buck shoes and Hollywood fashion shirts and slacks for those great flashback performances when "Rock n Roll" was here to stay! Performances include events such as Grand Openings, Theatre Shows, Festival Stages, even private celebrations like birthdays, weddings and anniversaries! 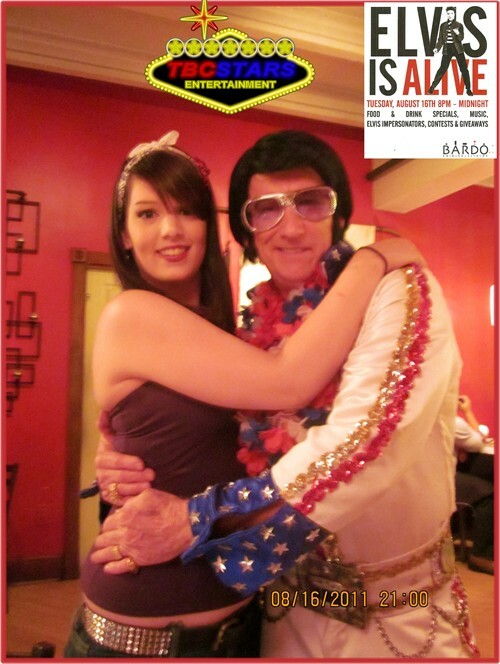 Hawaiian Luau's, "Fun In Acupulco" parties for Cinco de Mayo, any time!!! his great hit, "Can't Help Falling In Love With You." 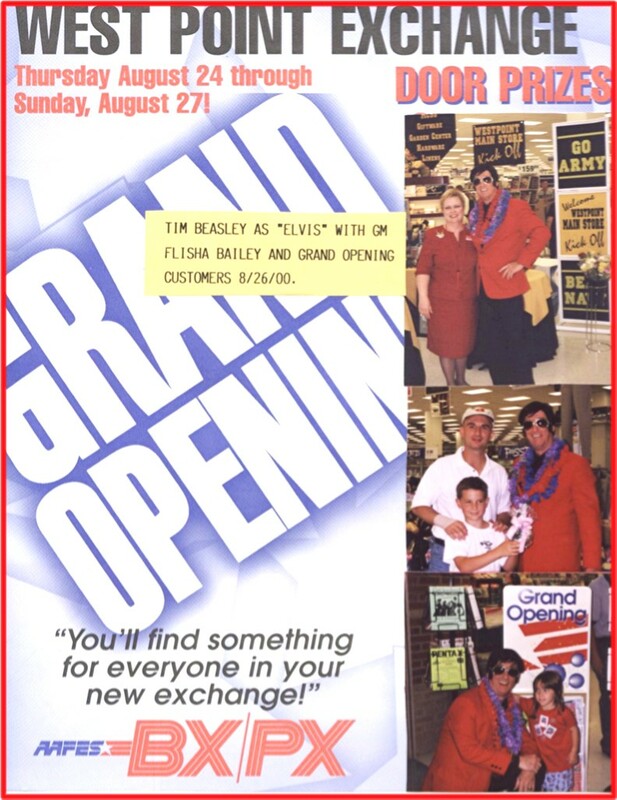 Tim’s shows can begin with Tim as young Elvis. 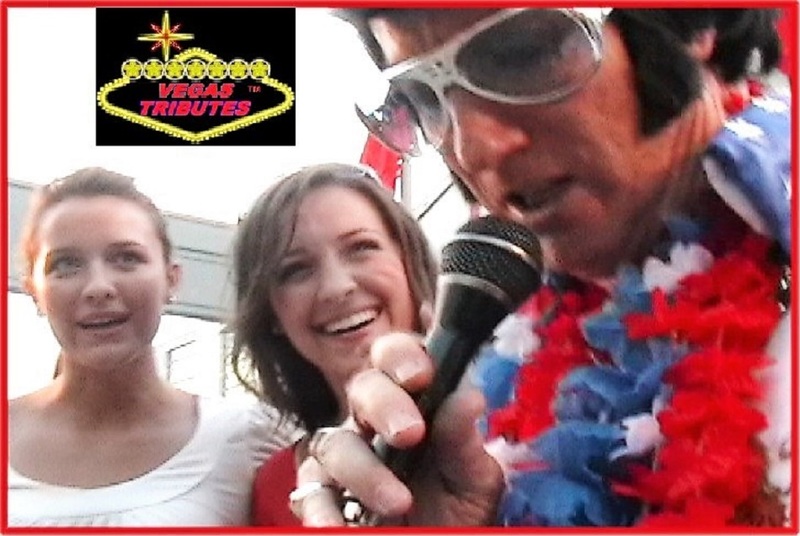 Singing great Elvis songs of the 50’s and 60’s and even Elvis' movie soundtracks, returning later for a second set in a tribute to the Las Vegas and 70’s era of Elvis. 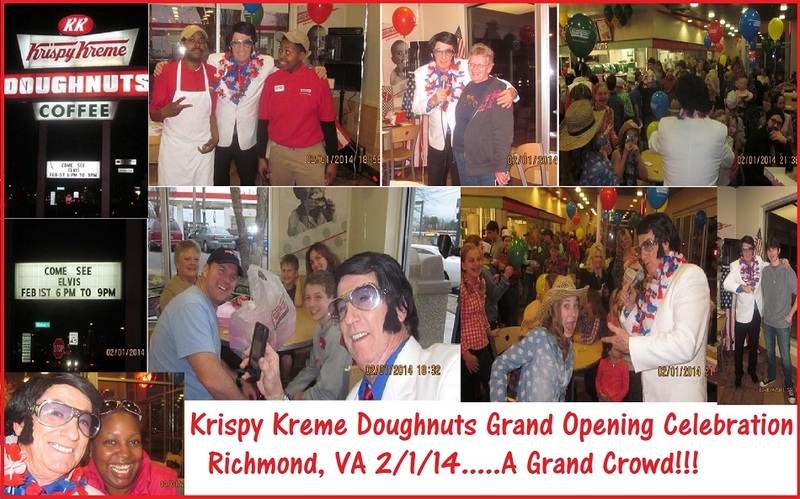 ........many, many, many more special events, celebrations of all kinds!